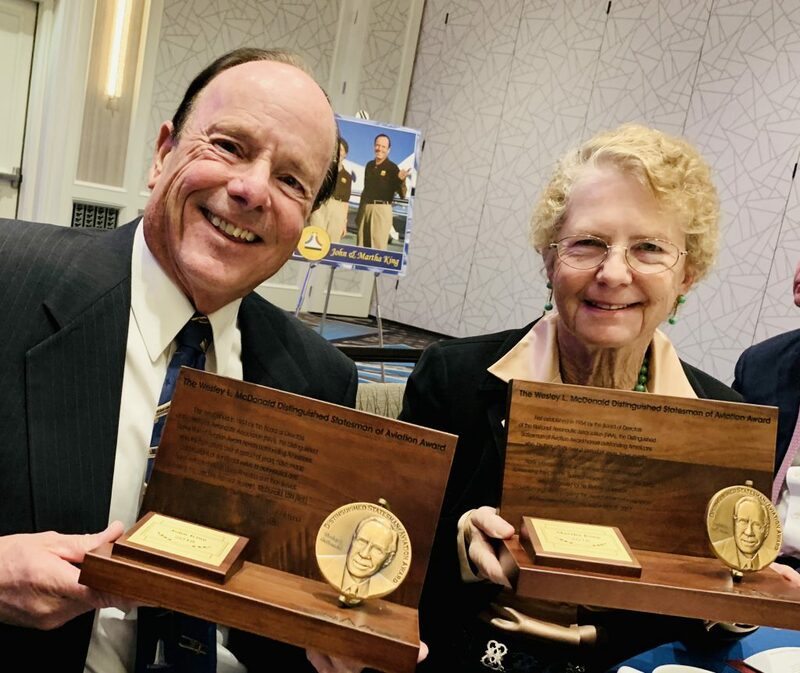 These beautiful plaques were presented to John & Martha King at the National Aeronautic Association (NAA) FALL AWARDS DINNER – “Honoring our leaders in Aerospace”. 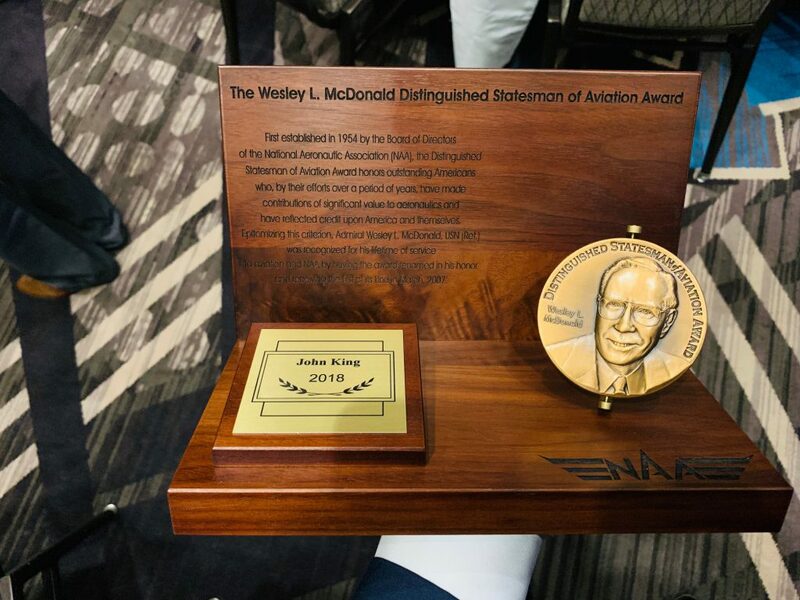 John & Martha were presented The Wesley L. McDonald Distinguished Statesman of Aviation Award at the National Aeronautic Association Fall Award dinner. The award was established on October 16, 1954, by the Board of Directors of the National Aeronautic Association. The purpose of the award is to honor outstanding living Americans who, by their efforts over an extended period of years, have made contributions of significant value to aeronautics, and have reflected credit upon America and themselves. The National Aeronautic Association (NAA) is the oldest national aviation organization in the United States. A non-profit association, NAA is “dedicated to the advancement of the art, sport and science of aviation in the United States,” according to its Mission Statement. The core of the organization is its members; thousands of individuals, organizations, and corporations representing all segments of American aviation. NAA encompasses all areas of flight from skydiving and models to commercial airlines, military aircraft, and spaceflight. This plaque will have a place of honor in John & Martha’s office and hearts. Part of the program of a very special night.